The family vineyard Fichet is now managed by two brothers : Pierre-Yves and Olivier. It's the first Mâcon of Olivier Fichet whose best cuvées (La Cra and Burgy) have been selected through the Miss Vicky Wine jury. Golden color, clear with lemon reflects. An easy drinking mâcon, fruity and fresh with a comforting honey finish. The domaine produces 150 000 bottles, of which 3700 bottles are kept for Miss Vicky Wine. Located only 30 kilometers from Château des Moriers - Vicky's family vineyard, in the Southern part of Burgundy. 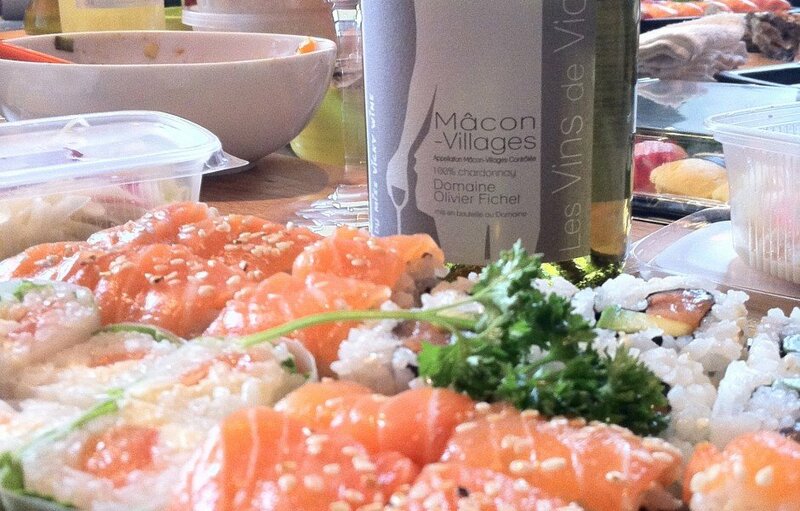 The domaine is famous for its terroir of La Cra & Mâcon Burgy that also arrived first at the Vicky blind tasting. The grapes are destoked. Then soft maceration takes place before a cold pre-fermentation. Pneumatic pressing, vinification in vat at low temperature. To drink cool but the wine will like to warm up in your glass, expressing more body and parfums. Perfect before a meal, on your fish with sauce, pastas, gratins, goat cheeses and summer dishes.